BDS is everywhere. The Israeli government is debating ways to stop it. US donor Sheldon Adelson hosted a meeting about combatting BDS with rumors that he will increase funding on campuses towards this end. 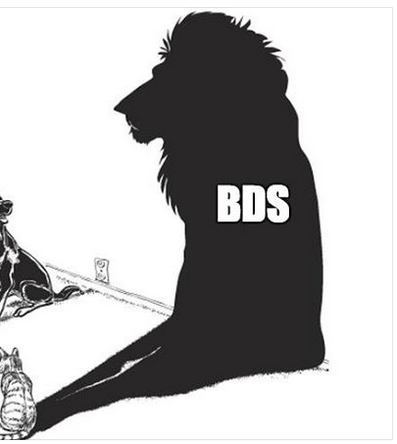 Israel’s largest print daily Yediot is doing a series of features about the BDS threat. One discussed the call by the CEO of Orange, a cell phone provider, to pull out of Israel operations, another highlighted Stand With Us, a pro-Israel organization. Ben Dror Yemini, commentator claimed BDS threatens the free world and that combatting it is what Churchill would have done. They also highlighted the efforts of the foreign ministry. US States are being asked to also take action against Israel boycotts, with South Carolina being the first to bar public entities from contracting with those who boycott Israel. It used to be that BDS was primarily the name given to the campus based amateurish anti-Israel movement of young activists. BDS was something “cool” and the in thing in some circles. Some of the organizations supporting it were Jewish. The main qualm between many of the groups was whether the movement wanted to dismantle Israel or just remove it from the West Bank. Even Normal Finkelstein was dismayed by the movement’s inability to explain its goals and its cult-like status.